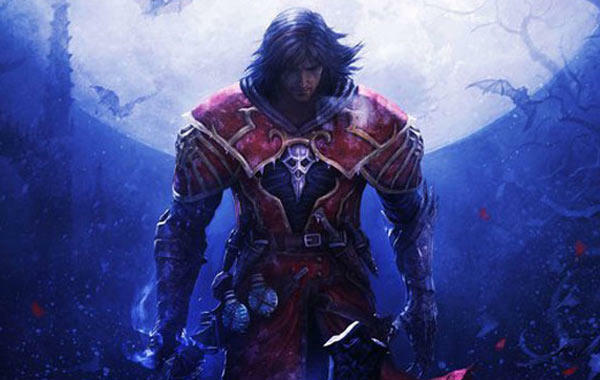 Castlevania: Lords of Shadow was a big surprise back in 2010. Western reboots of Japanese series have not always gone over well with the core fans of the franchises, but developer Mercury Steam nailed the paper thin margin of pleasing newcomers and oldtimers alike. The result wasn't perfect, but sales and critic scores were solid enough to convince Konami that this was the future of their classic horror/action series. Castlevania: Lords of Shadow 2 producer Dave Cox recently stated in an interview with Edge that the risks they took in rebuilding Castlevania from the ground up saved it from becoming another Mega Man. "The success of Lords of Shadow proved to everyone that there's life in the series yet and that people could accept us going in a new direction, and we can do that again. We have to take these risks if Castlevania is to survive, otherwise it's just going to be like Mega Man." Ouch. As a Mega Man fan, that hurts, but I wholeheartedly agree. One thing Konami has done a lot better with Castlevania is that each time it reinvents the series, it is still visibly Castlevania. From the classic NES platformers to the 3D experiments on the Nintendo 64 and PlayStation 2 to the Metroidvania handheld games, each has always been unmistakable as a Castlevania game. Not only that, but they've never dragged the series in one direction for too long. The six handheld games is the longest streak the series has ever seen, and even the most recent one, Order of Ecclesia, was met with a lot of praise. For better or worse, Western reboots are the trend in Japan, and Konami got the right guys to reflect that. I'll disagree with the producer in thinking that the Metroidvania formula was bound to doom the series, but I can see how it was starting to wear thin. After all, the first Mega Man series also was six games long before it needed a facelift. Castlevania has always done a fantastic job adjusting itself to the modern world, and I think the series often goes way under-appreciated these days as one of the longest running franchises out there. Publishers nowadays can learn a lot by watching its evolution over the years, and should be using it as a model on how to keep an old series relevant. Castlevania: Lords of Shadow 2 will be released sometime in 2013 for the PC, Xbox 360 and PlayStation 3.